Researcher and analyst Prof Raymond Suttner speaks about the loss of trust and legitimacy in South Africa's leaders, resulting in ungovernability. Camera & Editing: Shane Williams. Recorded: 18/02/2014. The scale of protest currently under way in large parts of South Africa is comparable to the period of ungovernability under apartheid. City Press reported over the week end that police statistics show there have been 32 protests a day and that over 3 000 have occurred in the last three months, almost as many as in the first four years of the Jacob Zuma’s presidency. In Gauteng it is estimated that one quarter of these have turned violent. Many commentators have blamed the police use of deadly force where other resources could be deployed to contain the situation. Police are said to be insufficiently trained in crowd control, though the minister of police, Nathi Mthethwa, claims that South African policing conforms to ‘world class’ standards. The Gauteng Commissioner of Police claimed last week that police were put in an impossible situation in that failure of government to deliver on its promises to provide various services was fuelling protests all over the province and police had no remedy. The situation was already volatile when they arrived and police could not address the demands of the protesters. One of the most significant features of this period is the delegitimisation of the ANC-led government and the ANC itself. Along with delegitimisation there is a crisis of governance, in that protests against failure to deliver, patronage and corruption are reaching crisis levels. Government does not appear to have an answer and many more may be injured or die, without addressing the diversion of public funds intended for basic services being addressed. Whatever the dissatisfaction during the Thabo Mbeki presidency, the level and extent of protests was on a minute scale compared with what we are seeing now. The venality of the Zuma presidency reaches down to every level of government. It is not a secret anymore and is part of popular discourse, in the streets, shops and other places where people gather. When Zuma says corruption will be stamped out, why should he be believed, since he himself evaded hundreds of corruption charges, and has since then been associated with other irregularities, notably the Nkandla estate? Why should the ANC and government be believed when it is complicit in a range of shady tenders that result in shoddy provision of basic services to the poor? Not every case has been well publicised, for example the dairy farm project in the Vrede area involving the Gupta family, where millions are being diverted into the pockets of allies of the leadership and the Gupta-owned mines in Mpumalanga that pollute the waters, ruining irrigation and endangering ordinary people’s access to safe water. What do we do about this? How can we stop the carnage? What we are referring to is part of a wider range of problems that have been visited on us in recent years, which is not to say that everything was perfect before Zuma arrived on the scene. What we need to reflect on is that this problem will not be solved merely by getting rid of Zuma, for flawed as he may be he is surrounded by relationships that are taking on a systemic character, to benefit a range of people through improper means in a variety of ways. Many people feel a sense of helplessness since elections are unlikely to produce significant change. That raises a broader question, whether democracy ought to be restricted to periodic voting. We need to pursue our political goals beyond the electoral terrain. There needs to be a coalition of forces who stand behind a range of common goals, for example, clean government, constitutionalism, an end to violence, gender and sexual equality, environmental protection. Such an emancipatory movement needs to be non-sectarian and open to all who share such goals, including those who support the ANC or any other party. While exercising pressure in order to remedy the current crisis, we would simultaneously re-empower ourselves as active citizens. 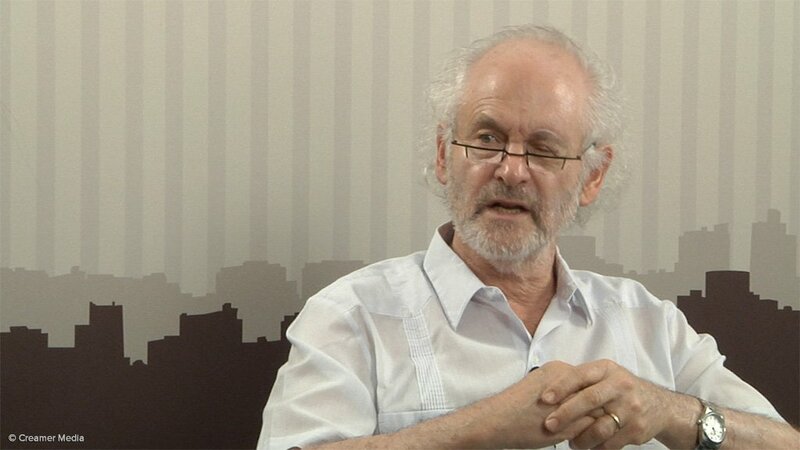 Professor Raymond Suttner is a researcher and analyst, attached to Rhodes University and UNISA. He was a leading figure in the ANC led alliance and spent over 11 years in prison and house arrests.